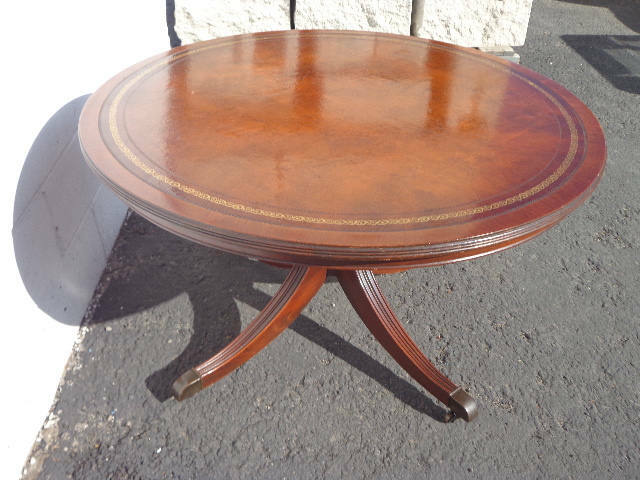 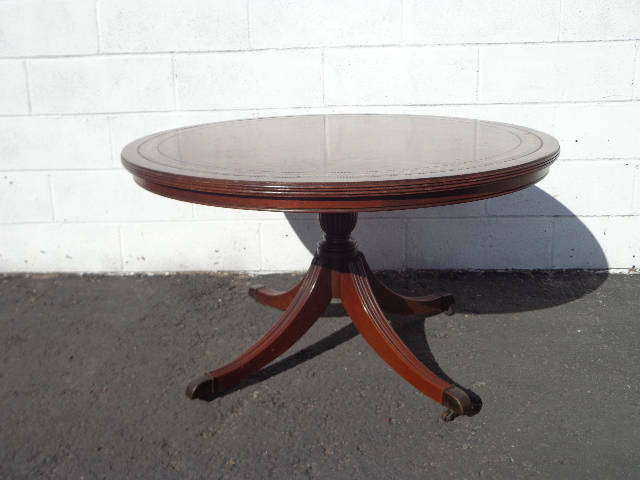 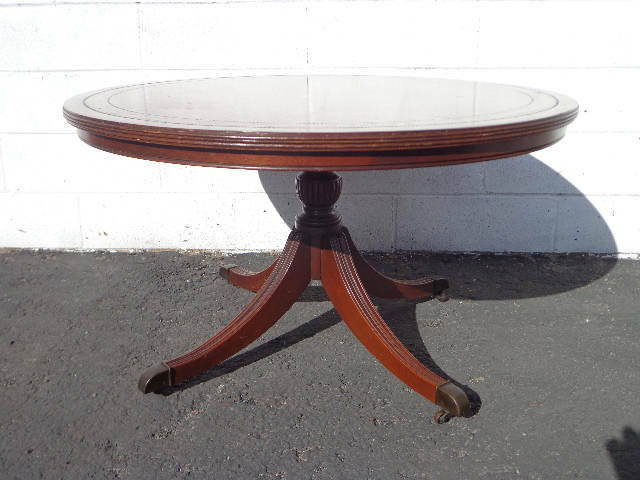 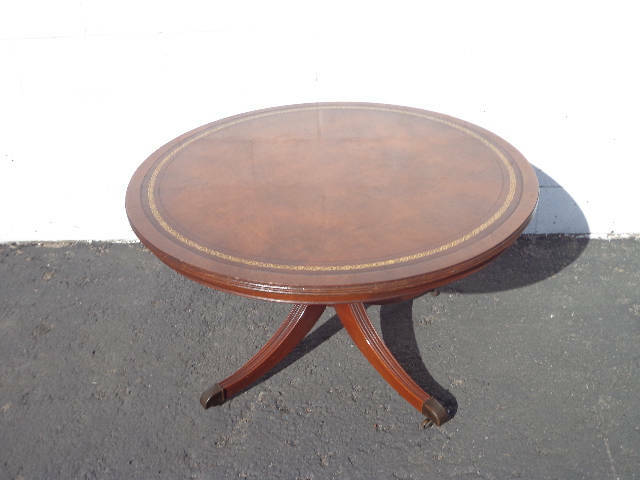 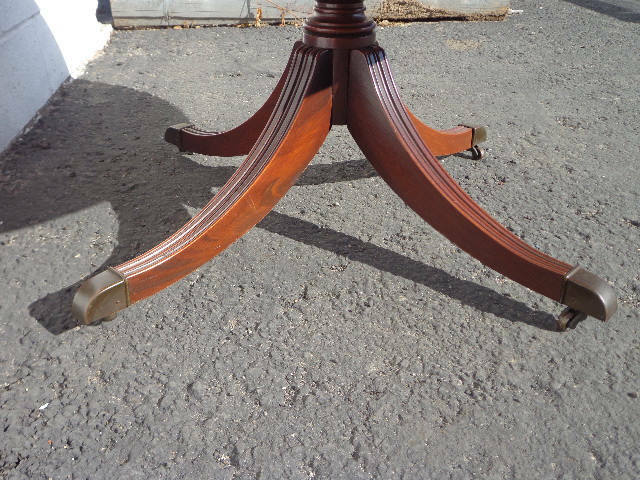 Gorgeous antique Duncan Phyfe coffee table with a gorgeous mahogany finish. 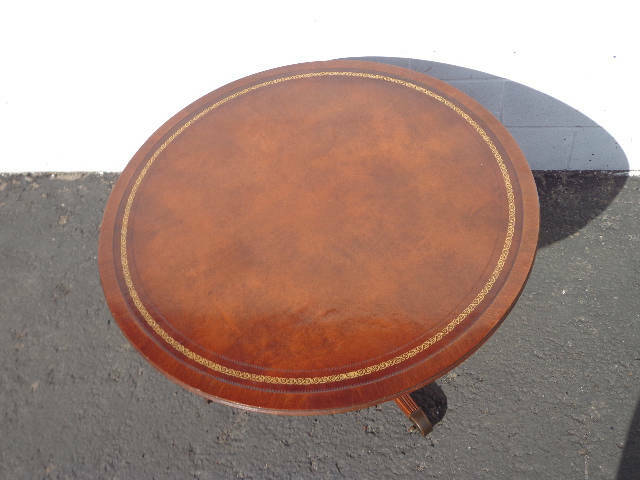 Features a tooled leather top, fluted details, and set on the original casters. 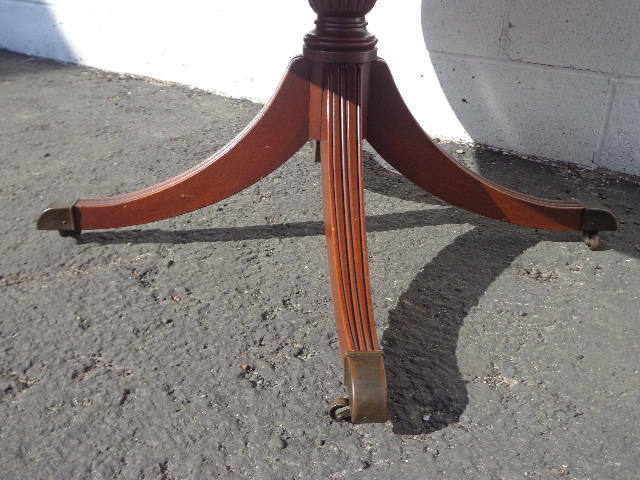 This piece bears its original finish and has the perfect patina and character. 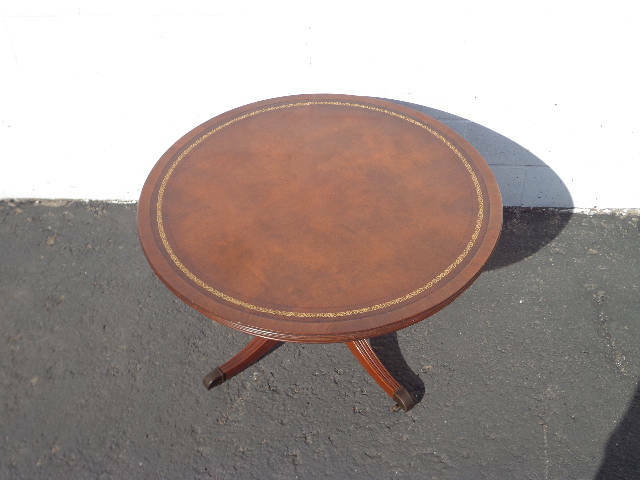 Overall good vintage condition, shows surface wear from age/use and solid. 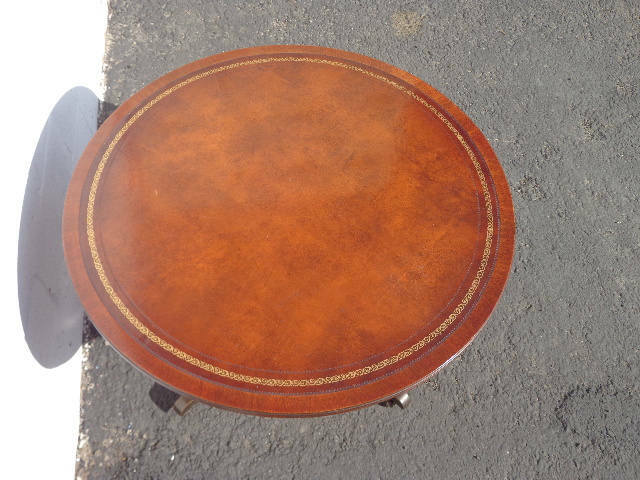 The leather top shows wear. 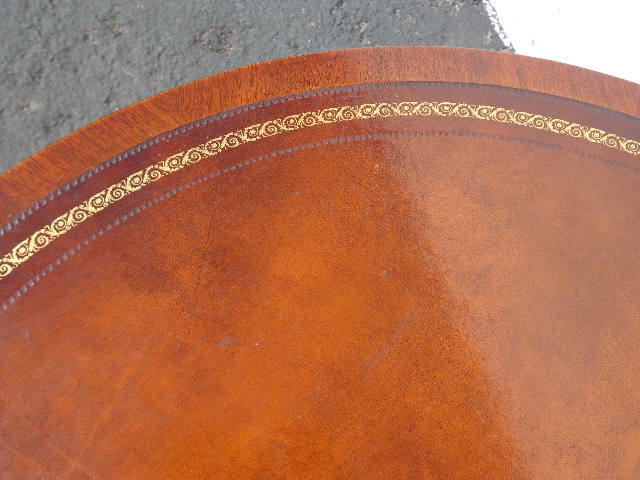 Shows surface wear.